Office Work Is Fun!!! | Tell Me… Am I From This World? Having theme days at work is fun and cute.. Hehe.. Today, International Day is on, and our department is tasked to represent Belgium.. The whole floor is decorated with anything Belgian.. And we have to wear one of the colors of the Belgian flag–Red, Yellow or Black.. It would have been better for me if our team wears Black but they said it’s Yellow.. 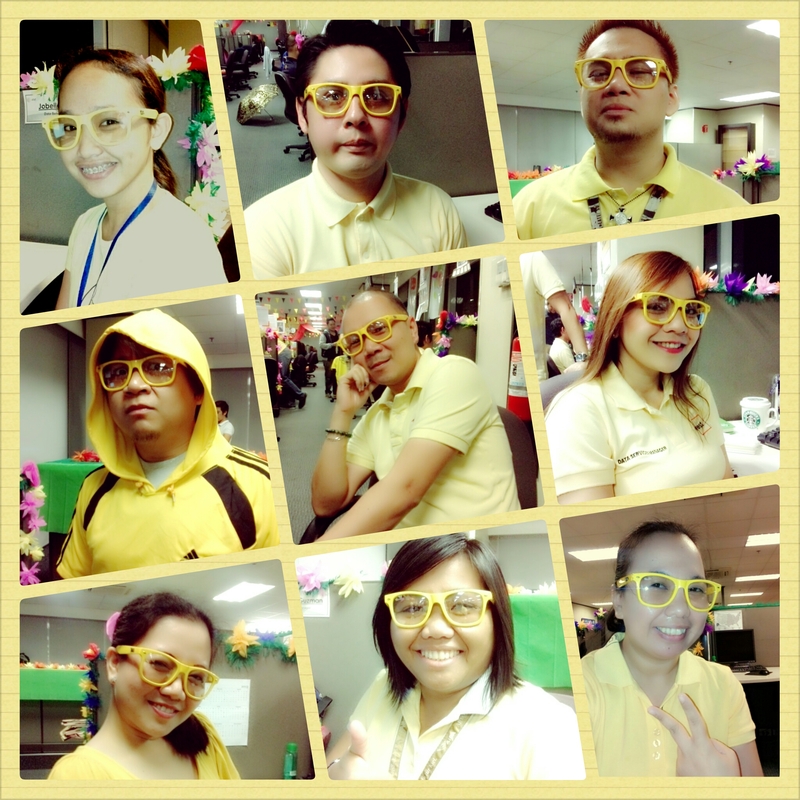 Anyway, yellow is a happy color and since Deej brought his Yellow Ray-Ban, we took photos using it!! Cute! !